To be successful in the market today, you must possess two strategic assets: a compelling product and a meaningful brand—and one will not succeed without the other. 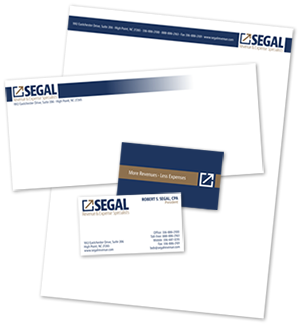 The name of your business, the colors and look of your logo, and the design and messaging of your sales collateral materials are all critical elements of your brand. In a world that is more crowded and brand-noisy than ever, you need to stand out, to be known, and to be remembered. At Atlantic Webworks, we will guide you through a proven process of discovering and creating your brand. From company name-generation to finished logo and business collateral design, we will help you find your unique place among your clients—visible, amplified, and connected. Do you need Atlantic Webworks’ branding services? We need to reinvent or adjust our visual identity and language for clarification of our business values and fresh thinking about our market position. Key organization members are saying we need to update our look. We are a new business wanting to get off to the right start. We need accurate sales materials. We know we have changed over time, but we haven’t changed our brand. © Copyright 2019. Atlantic Webworks. All Rights Reserved. Our website uses data collection tools, such as cookies and other tracking technologies, to personalize your online experience and future communications, to assist with navigation, and to collect anonymous statistical information to enhance site functionality and performance.